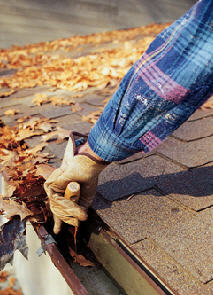 The accumulation of debris in your gutters and downspouts can render them ineffective. This can allow water to pool and accumulate where you don't want it. Water that isn't funneled away from your home can run down exterior walls and windows accelerating wood rot in wood siding and windowsills, discoloring and staining vinyl and metal siding and even pooling and seeping through your foundation into your basement or crawl space. Regular gutter cleaning and inspection of your gutters and downspouts will keep them in good working order preventing possible damage from water accumulation. Safeguard Chimney, Roof and Gutter will clean, flush and inspect your gutters and downspouts keeping them at top efficiency in the removal of water runoff from your home, and saving you money in future repairs. 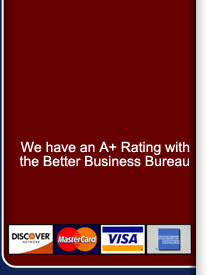 Get Military, Senior or Realtor Discounts! We are experts in chimney liners, chimney campers, flue caps spark arrestors and cleaning. 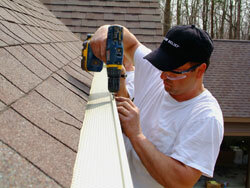 We clean, flush and inspect your gutters and downspouts keeping them at top efficiency. We remove the moss and other foreign material from your roof.